In unserem Neujahrs-Blogpost haben wir versprochen, dass wir in unserer Kommunikation über bevorstehende Shop-Releases transparenter sein werden. 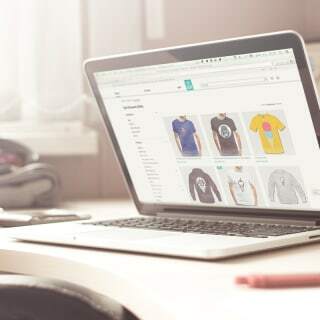 Mit jedem Release einer neuen SpreadShop-Version wird Robert, der Product Owner des SpreadShops, einen kurzen Überblick über die neuesten Updates geben. Bitte beachte, dass diese Reihe nur auf Englisch verfügbar ist, Du aber natürlich Deine Frage auf Französisch, Deutsch oder Englisch stellen kannst. 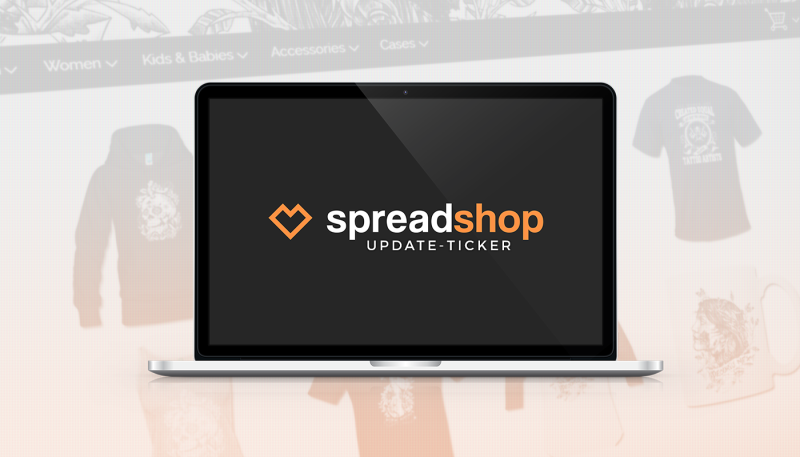 Today our shop team released a new search backend for some of our SpreadShops. You may be asking: why add a new search backend, and why for only some shops? At Spreadshirt we currently have two shop models: an article-based shop and a, as we call it, flexi-product-based shop. For you as a shop owner, this might sound confusing. Honestly, it is, but this differentiation is extremely important for us and all future projects. 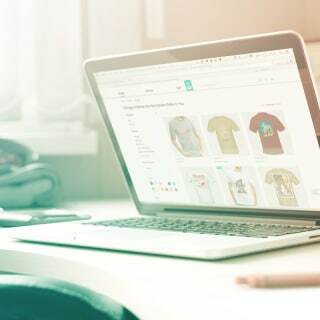 Your shop administration can be found under partner.spreadshirt.net.xyz. Our old search infrastructure had some troubles from time to time. You may have published something, but it did not show up in your shop for hours or days. This problem is solved, and everything you publish should be in your shop within seconds. Customers in your shop get results displayed faster. All newly-published designs show up on top of your list (this was sometimes broken). We removed the option to sort each product individually, as this feature caused quite some pain and did not bring value to your customers. Links in the navigation that caused a 404 were reworked to reduce the number of error pages we show to your customers. Also, today’s release is the foundation for some essential changes in 2018. We are going to introduce new list and detail pages, shop collections and a shop homepage this year. This will only be possible using our new search infrastructure. But there was also something for “all” shops. We released our initial version of sitemaps to make your shops know to google and we fixed problems for article based shops that have the “show other products with this design” feature activated. From now on you will see all product types (e.g. all t-shirts) in a category instead of just a selection of 4. Do you have questions? Feel free to comment below and let us know your feedback. Hallo, wann kann man einzelne Farben der Produkte ausgrenzen (zb Farbe Orange) wenn selbige von der Produktklasse angeboten wird? Wann kann ich zb auf die Front ein Logo oder bild drucken lassen und auf die Rückseite oder Kaputze (Hoodie) ein anderes Logo? so könnten Produkte mehr Personaliesiert oder gebrandet werrden. Diese sind einige von unsere Top-Vorschläge, kannst du gerne hier auch gucken. So, wir arbeiten daran – ist schon geplant. Genaues Zeitraum ist leider noch ein bisschen unsicher. Vielen Dank für dein Geduld!